How to Use a Coupon Savings Calculator or a coupon calculator spreadsheet. 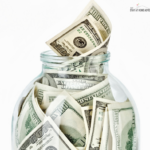 We have talked about saving money when it comes to groceries and money-saving apps, but have you tried a coupon savings calculator to step up the saving games? 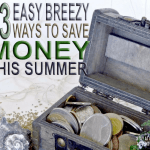 We have covered price matching to save money, we have covered tips to save $50 a week, and today we wanted to talk about how to maximize your savings with coupons using a coupon saving calculator. Before we begin, let’s talk about why it is so important to save as much as you can when it comes to your grocery budget. Your grocery budget is the one where you have more control of when it comes to your finances. Each month Americans spend hundreds of dollars each month on food alone. This is why I always write about saving and helping the cost of your food budget down because it is one of the biggest expenses in our budget! If you want to save even more with your coupons, you should consider learning how to use a coupon savings calculator. This is basically a tool to help you determine how much you will save when you use coupons, help you keep track of your savings, and also help you calculate cash-back coupons. 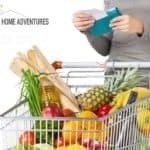 They are a must-have for extreme couponers, but anyone who really wants to get the most savings from their coupons should consider it. 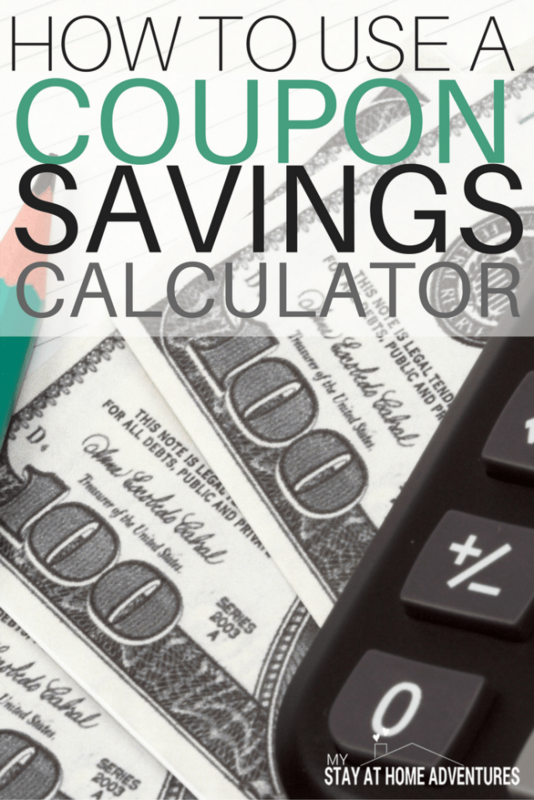 There are different ways to use a coupon savings calculator. First, you can just use a preset method and online calculator, or you can use a regular calculator and a spreadsheet to keep track of everything. It’s really all about finding a system that works for you. What you use is not as important as how you use it. It’s the how that will determine your success. There are different types of coupon savings calculators out there or you can choose to create your own using an Excel sheet and your own personal calculator. Then you will use this system to calculate your savings from coupons. You can do this per trip, per week, per month, or however, you want to keep track of it. *Get a copy of our Coupon Saving Calculator Spreadsheet in your inbox when you click here. To calculate your savings, you will subtract your total out of pocket cost from the before savings cost (original price). This equals the dollar amount saved. Then you can get the percentage saved by dividing the amount saved by the original price and moving the decimal point over two spaces. Calculating it is really only one part of the equation, and it’s the easiest part. 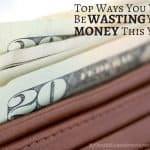 You also need to keep track of your savings so you can see how much you’re really benefitting from it. This is where most people use a spreadsheet (like Excel) to track the savings. 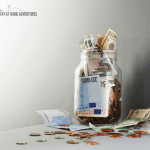 You can track your dollar amount and percentage saved on each sale, then per week, per month, per quarter, and per year to see how much you’re really saving. This is also a great way to see what deals are working for you and which are not, where you tend to spend more money and where you save more, and what you can do differently to save even more. You will have the proof in front of you to show just how much your couponing is really saving you. With these tips on how to use a coupon savings calculator, you’re ready to start making the most of your savings. Question for you all! If you use a coupon savings calculator which one is your favorite and why? I had never even heard of a coupon savings calculator! This is great news, Joyce! I’ve never heard of a coupon savings calculator, but if you’re couponing to try to reach some savings goals, that could be really useful to make sure you’re moving the right amount of money into that goal! I have never used one. I do most of the math in my head or on paper. I usually look at the ad and write down sale items I might buy. Then I look through my coupons and match them up with the sales. I will sometimes cross off the original price and then put the price I will actually pay after the coupon. This helps me determine if the final price is a deal or not.